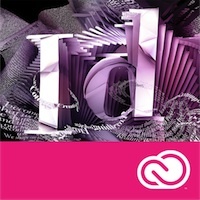 Adobe InDesign CC software speaks the language of professional designers, delivering unparalleled creative freedom, productivity, and precision for designing superb pages. It works seamlessly with Adobe Photoshop and Adobe Illustrator, providing a single integrated design environment that doesn't interrupt your creative process. This course is designed to become familiar with, and come into compliance with, the Federal Government’s ADA Section 508 accessibility regulations. It covers both Adobe InDesign and Adobe Acrobat features to help meet those requirements. Students are expected to be familiar with InDesign and Acrobat already, as no time is allotted to review any basics of either application. Get the most out of Adobe InDesign CC! Join Adobe Certified Instructor, Katie Houghton, to learn the latest features within the industry-standard publishing app. The Master Class is a training program that features a combination of two InDesign courses for a discounted price. The Master Class does not have a schedule of its own. 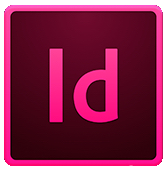 Each class is scheduled separately, beginning with the InDesign Fundamentals: An Introduction to InDesign course. We recommend taking the courses included in the Master Class two weeks apart. A total of 5 days for $2,275 - Over 15% off the cost of these classes if registered for individually as opposed to this Master Class. Note: Master Classes do not have a schedule of their own. You would start by attending the first level class and move on from there. To register for a Master Class, please contact your local FMC branch. Branch numbers available here. Interested in the Master Class?